Miami (AFP) - The rate of obesity in the United States has reached a new high, at 39.6 percent of adults, according to US government data released Friday. Health experts are concerned about obesity because it is associated with a number of life-threatening health conditions, including heart disease, stroke, diabetes and certain kinds of cancer. The adult obesity rate in the United States has risen steadily since 1999, when 30.5 percent of adults were obese. "From 1999–2000 through 2015–2016, a significantly increasing trend in obesity was observed in both adults and youth," said the report, based on a nationally representative sample of the population, and issued by the National Center for Health Statistics. "The observed change in prevalence between 2013–2014 and 2015–2016, however, was not significant among both adults and youth." 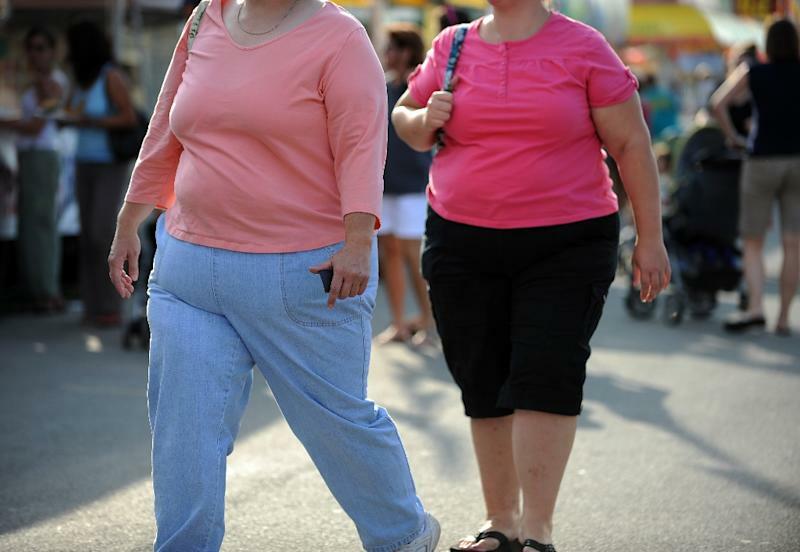 Its previous report for 2013 to 2014 found that 37.7 percent of adults were obese. Researchers said the difference between the current and last report is not statistically significant because it falls within the margin of error of the estimate. Adult obesity is defined as having a body mass index (BMI) of 30 or higher. Among youths aged two to 19, 18.5 percent are obese, the report said. The rate of youth obesity was 13.9 percent in 1999.